"Put simply, it is time the US recognized that the 'war on terrorism' never really happened." 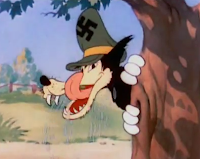 8 insanely dated education and propaganda movies made by Disney - Erin Sullivan, "Disney wasn’t always solely affiliated with theme parks, happiness and light – in fact, a big part of Disney’s history has been its educational fims, which ranged from hygeine films to wartime propaganda to science movies for the public. Africa: Re-Establishing Rapprochement in U.S.-Africa Relations? - Dimpho Motsamai, allafrica.com: "[T]he US and Africa have had a donor-client relationship which, as Deputy Assistant Secretary for Public Diplomacy in the Bureau of African Affairs Bruce Wharton admitted, had not worked well in the past. It is commendable that the Obama Administration has shown some commitment to 'putting Africa back at the center of US foreign policy' with the launch of its Africa strategy. 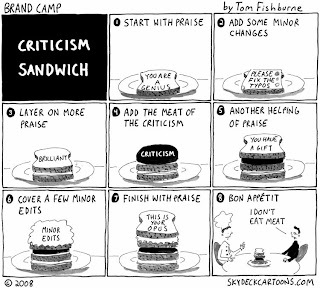 In practice however, and despite this policy, there is lack of distinctness in the approach. Seemingly, rather than setting out substantively new outlines, Obama's Africa focus, it is largely an expression of continuity with the previous administration's tenure. Foremost to this continuity is the fact that US-Africa relations have remained largely pivoted on unilateral measures." Political Warfare: Policy Innovation Memorandum No. 33 - cfr.org: "The Obama administration could learn from the example of the early Cold War, when the U.S. government first organized itself for political warfare. This concept was defined in a May 4, 1948, memorandum produced by the State Department's policy planning staff under George Kennan: [']Political warfare is the logical application of Clausewitz's doctrine in time of peace. In broadest definition, political warfare is the employment of all the means at a nation's command, short of war, to achieve its national objectives. Such operations are both overt and covert. They range from such overt actions as political alliances, economic measures (as ERP—the Marshall Plan), and 'white' propaganda to such covert operations as clandestine support of 'friendly' foreign elements, 'black' psychological warfare and even encouragement of underground resistance in hostile states. ['] ... [A]t its best, the United States aided fighters for freedom behind the Iron Curtain and beyond, helping win the Cold War. It is the latter tradition, neglected for too long, that should be rediscovered. Reinvigorating the U.S. government's capability to wage political warfare will not cost much—in all likelihood less than the $37 million price tag of a single Reaper drone—but it will require mobilizing autonomous bureaucracies to act in concert. In particular, this will require overcoming the normal balkanization of government operations in which al-Qaeda specialists focus only on al-Qaeda, Iran specialists only on Iran, and public diplomacy specialists only on buffing America's image. Waging effective political warfare will require crosscutting skill sets. ... [First] President Barack Obama should take a keen interest in the problem and appoint a highly respected coordinator for political warfare, to be located in the National Security Council. Without the personal support of the president, this initiative will fail. ... Second, the president must create a strategic operational hub—an interagency coordinating body that pulls all of the local efforts together—housed in the State Department. ... Third, the president must direct the top-level government officials— the secretary of state, the secretary of defense, the administrator of the U.S. Agency for International Development, and the CIA director—to create political-warfare career tracks, which would result in the training and promotion of specialists in this area. ... Once an effective institutional framework is in place, the U.S. government can get to work helping intellectuals and political leaders in countries from Pakistan to Mali. Some activities could be carried out overtly, others covertly. ... Such operations must be conducted carefully so as not to run afoul of the 1948 Smith-Mundt Act, which prohibits the State Department from making any attempt to influence domestic opinion. 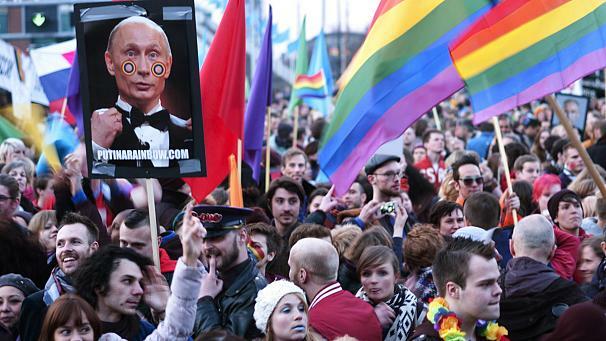 But even in the Internet age it is possible to ensure that the messaging is aimed overseas and not at home. 'Political warfare' may be an alien-sounding concept in 2013, but that is precisely the problem. The United States will never best its rivals and enemies without enhancing its capacity to exert influence in countries whose futures are up for grabs. That this can be done successfully should be clear from the experience of the Cold War, even if there are many differences between the situation then and now. It is high time to rediscover lost skill sets and get to work countering the attempts of various anti-American actors to shape the world—and in particular the Muslim world—in their own image. It will be difficult to measure the outcome of a political warfare campaign—hard metrics are easier to come by for kinetic targeting than for political-influence operations, which is why American leaders naturally prefer the former to the latter. But U.S. enemies, from Iran to al-Qaeda, work hard and often effectively to shape public opinion with influence operations, not just with the use of force. Unless the United States counters their efforts in kind, it is likely to find the greater Middle East developing in a dangerous direction." See also. section, including American Citizen Services and visa services for local citizens [;] There’s definitely more to the job, but that’s a pretty good start. As you can imagine, on any given day I might have other things come up, such as unconfirmed reports that the President of the country had a massive heart attack! When I think back on my favorite aspects of the job, they definitely relate to promoting the cultural programs we worked so hard to present for the Uzbek public. 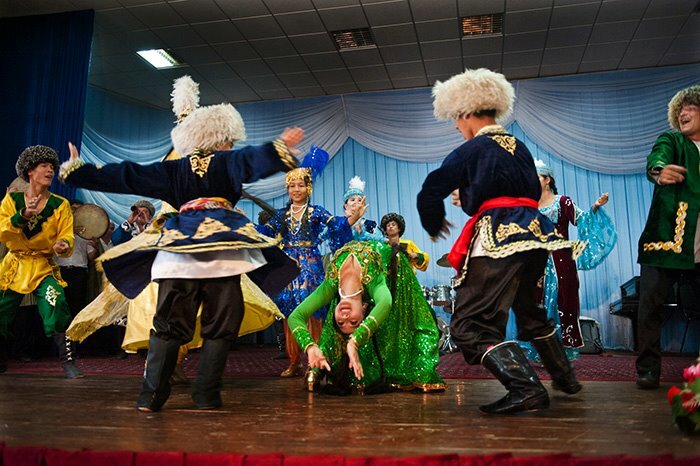 During my time in Uzbekistan we had photographers, poets, basketball players, musicians, and dancers come to Tashkent and other cities for master classes, performances, competitions, and more. I had an amazing time traveling with our cultural envoys and coming up with interesting ways to share their work with the citizens of Uzbekistan." Via PR. Image from entry, with caption: The talented students of the Urgench arts kolej perform for arts envoy and photographer Frank Ward. Beauties from Boston: Della Mae brings Bluegrass to the Big Room - synthesisweekly.com: "There aren’t many bands that visit Chico not long after making a 43-day jaunt through Pakistan, Kazakhstan, Kyrgyzstan, Tajikistan, Turkmenistan, and Uzbekistan. Hell, there aren’t many bands who’ve even heard of most of those places. 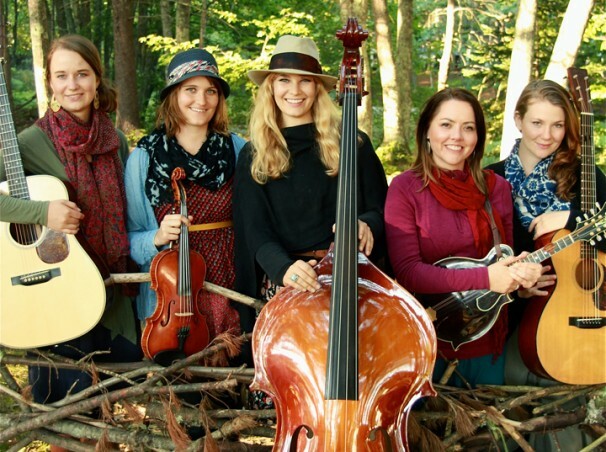 But the U.S. State Department thought that five prodigiously talented young women, steeped in knowledge of and skill in playing deeply American music, might just be good representatives for our country in that volatile region of the world. CDO Celebrates Social Media Day at SM City CDO on June 30 - CDOBloggers, cdobloggers.com: "Keynote Speaker: Maria Irene Aserios [--] Maria Irene Aserios is a blogger, social media strategist, publicist, experienced journalist, travel writer and photographer. With solid background and intensive experience in social media marketing, brand management and public relations, she is a trusted digital strategist for various brands, businesses and individuals here and abroad. The Guardian’s Tunde Akingbade Brought Honor To Nigeria-United States Consulate - tundeakingbade.wordpress.com: "The Consulate General of the United States of America has said that Mr. Tunde Akingbade, environment journalist with The Guardian who won the United Nations/Prince Albert II of Monaco Prize Medal for Climate Change Coverage 2012 brought honor to Nigeria. In a letter signed by Ms. Rhonda J. Watson, Public Diplomacy Officer of the Consulate General dated June 19, 2013, the US Consulate General said it was delighted to know that Akingbade also received a CNN recognition in 2012 in the Environment Award category. Don’t hinder exchange programs - Letter Writer (Raeann Collins, Eagan), sunthisweek.com: "As [sic] most Americans, I agree a solution must be found for the 11 million hapless undocumented workers who hide in the shadows. The Immigration Bill on the Capitol Hill is trying to do that. Unfortunately, as part of the political horse-trading, some worthwhile programs have been sacrificed. As a student who studied abroad through a program offered at the University of Minnesota, this news is devastating. I have felt the value in studying abroad, and encourage this cultural exchange. Under the current Senate Bill, all J-1 student exchange programs, such as the summer camp counselors, au pairs, summer work and travel students and internship/trainee participants will be eliminated. That is approximately 200,000 young people from all over the world, all elite university students (except for au pair), the future leaders of their respective countries. This is puzzling and disturbing as J-1 programs are the cornerstone of the U.S. public diplomacy efforts." Kelly Hunt, wounded diplomat with ET ties, recovering at home: Hunt, former KNS copy editor, continues progress - Matt Lakin, knoxnews.com: "Kelly Hunt, the former News Sentinel copy editor wounded in a suicide bombing in Afghanistan, is at home with family and offering her thanks to friends across the country and around the world for their support. ... Hunt, 33, came home to Sheffield Lake, Ohio, after more than a month at Walter Reed National Military Medical Center in Washington. Looking Back at a World Tour: After More Than 30 Years, President of Arts Foundation Steps Down - "The Robert Sterling Clark Foundation, one of New York's small, but influential arts funders, will soon enter a new era: On July 1, President Margaret Ayers will step down from the post she held since 1979. ... During Ms. Ayers's leadership, the foundation has targeted its grants to entities in New York City or state that relate to three subject areas: improving the performance of public institutions, protecting reproductive rights and promoting international arts engagement. Within the third category, it has supported, in collaboration with the State Department, projects including the Brooklyn Academy of Music's DanceMotion USA, which sent four dance companies to tour four regions of the world this year, and the Bronx Museum's smARTpower, which selected 15 American artists to serve as cultural ambassadors. In 2012, it gave 18 grants in this field totaling $2.2 million. The State Department is currently budgeted to spend between $10 million and $12 million for cultural affairs exchanges. In an interview with The Wall Street Journal, Ms. Ayers discussed the evolution of the foundation and its support for sending American artists abroad, particularly since the 1999 closure of the U.S. Information Agency. ... [Q:] The attacks on Sept. 11, 2001, contributed to a new phase. How did that start? [A:] We noted that global public opinion regarding the U.S. was at a high in the months after Sept. 11. However, after the U.S. sent troops to Iraq, global public opinion sank like a stone. Amidst the mounting calls for change, there were many that questioned what had happened to our public diplomacy apparatus. It was destroyed when ... Congress made the decision to eliminate the U.S. Information Agency. In 1999, USIA's cultural exchange programs were moved as a block to the State Department. However, there was no arts exchange program. The World's Most Reputable Countries, According To The Reputation Institute - Carlo Davis, Huffington Post: "This week, the Reputation Institute, an international reputation management consulting firm based in New York and Copenhagen, released its 2013 rankings of the world's most reputable countries as identified by a survey of over 27,000 G8 citizens. Respondents were asked to rate 50 countries based on the level of trust, admiration, respect, and affinity they felt towards them. Europe leads the world in reputation, boasting 7 of the 10 highest-ranked countries in the 2013 Country RepTrak Report. ... The United States had the 22nd-best reputation this year, one position higher than last year. 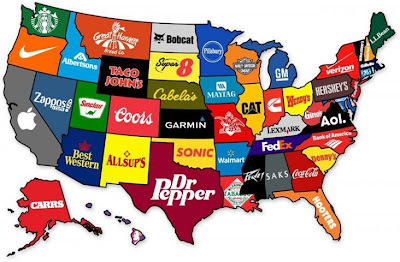 It boasted the second-highest reputation for well-known brands and 6th-highest for culture. ... If you think that the United States should hire a reputation manager like the Reputation Institute to help improve their image, they actually have in the past. 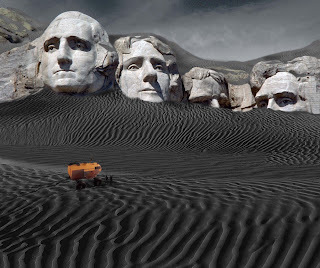 Downsizing the Federal Government - Terry Orr, Keeping it Simple (KISBYTO): "Which of these do you recommend to be significantly downsized or out right closed down? Government Agencies We Should Get Rid Of Immediately ... 149. Public Diplomacy and Public Affairs (State Department) 150. Radio and TV Marti (Español)"
Tara Sonenshine – Broadcasting Board of Governors is in urgent need of reform - BBGWatcher, usgbroadcasts.com: "In an emailed farewell note, Under Secretary of State for Public Diplomacy and Public Affairs Tara D. Sonenshine said that the Broadcasting Board of Governors (BBG), the federal agency in charge of U.S. international broadcasting, 'is in urgent need of reform and new approaches to the entities,' which include the Voice of America (VOA), Radio Free Europe/Radio Liberty (RFE/RL), the Middle East Broadcasting Networks (MBN – Alhurra TV and Radio Sawa), Radio Free Asia (RFA), and the Office of Cuba Broadcasting ( OCB – Radio and TV Marti). ... With the departure of Tara Sonenshine, the BBG will see its 5th representative from the State Department in in three years. Former Secretary of State Hillary Clinton never attended any BBG meetings, but she met with BBG members and IBB executives." Broadcasting Board of Governors – Information War Lost – Dysfunctional, Defunct and Way Out Of Order – A Hearing on the Hill - The Federalist, usgbroadcasts.com: "[T]he agency [BBG] is dead." South Africa’s Renovated Mission Encapsulates Traditions, Aspirations - Martin Austermuhle, washdiplomat.com: "Sometimes a building is just that: a brick-and-mortar structure used for utilitarian purposes. But other times, a building is much more than a simple structure — it's a symbol, and one that can speak to the traditions, values and aspirations of the organization and people within its walls. That's what South African Ambassador Ebrahim Rasool hopes for the two buildings that have long served as the country's diplomatic presence in Washington and are approaching the end of a multiyear renovation. ... More than a modern interior, though, the new embassy's most striking — and contrasting — addition will be a glass-and-steel atrium that will connect the two buildings. 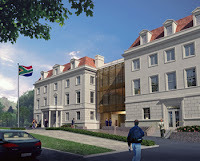 The atrium will be used for cultural functions and exhibitions and, as Rasool tells it, best exemplifies the attempt to use the renovated embassy to convey the message that South Africa is both traditional and modern. ... Once the renovations are done, said Rasool, a 10-foot statue of the former president [Mandela] and Nobel Peace Prize winner will be placed in front of the embassy. ... The renovations — designed by architect Davis Brody Bond and implemented by Turner Construction Co. — should be completed by July, and Rasool plans an opening ceremony in September. 'It's going to be the culmination and the high point of our diplomacy in the U.S.A.,' he said. Along with the positive public diplomacy that came from South Africa hosting the 2010 World Cup, he noted, the new embassy and the Mandela statue will help further develop the strong relationship between Washington and Pretoria." Image from article, with caption: South Africa's renovated 58,000-square-foot chancery and residence on Massachusetts Avenue — done by architect Davis Brody Bond and Turner Construction Co. — will feature a glass-and-steel atrium that will connect the two buildings. Marshall Aid Commemoration Commission Account 2012-13 - marshallscholarship.org: "The aims and objectives of the Marshall Aid Commemoration Commission (‘MACC’ or ‘Commission’) are ... to strengthen US-UK relations and to promote British influence in the United States by providing Marshall Scholarships to US Citizens of high academic achievement, who have the ability to be leaders, opinion formers and decision makers in the United States and, by doing so, to express the gratitude of the British people for the Marshall Plan. As future leaders of America, with a lasting understanding and appreciation of contemporary British society, Marshall Scholars will add to the enduring ties between the British and American peoples, their governments and their institutions. The MACC’s objectives are to strengthen the cultural, economic, trade, personal and historic ties between the US and the UK . ... The Commission works closely with the FCO’s Public Diplomacy department which is represented at meetings of the Commission and its Committees. The Commission also works closely with the UK Ambassador to the US and relevant Embassy and Consulate staff." Nigeria: Britain Reconsiders £3,000 Visa Bond - allafrica.com: "British Prime Minister David Cameron has halted the controversial plan by his country to demand a £3,000 bond from each visa applicant from 'high risk countries'. ... Although the Prime Minister's Office said pilot studies involving the use of migrant bonds - or deposits - for some visitors would go ahead, neither Cameron nor Nick Clegg, his Lib Dem deputy, has agreed the scope of the scheme or the size of the bonds. ... The Home Office said on Tuesday the November pilot would be 'highly selective', focusing only on those visitors from India and other countries thought to present a 'residual risk' of overstaying. ... 'It is certainly a stupid move, but it is also extremely bad public diplomacy. It will raise a hue and cry here,' Brahma Chellaney, a strategic affairs analyst at New Delhi's Centre for Policy Research think tank, said. 'It really just doesn't make any sense. It will have detrimental effect on the UK-India relationship, and it will create a bad image for the UK in India, and also uproar elsewhere in the world.'" Australians highlight China's economic importance, but place greater weight on US ties - Olivia Rosenman, scmp.com: "Australians are conflicted in their attitudes towards China, seeing the country as a great economic opportunity while at the same time feeling uneasy about growing Chinese investment, according to a Lowy Institute poll on public opinion and foreign policy ... . As well as fear of Chinese investment, more than half of Australians see China as a military threat, unchanged from last year's result and down from a 2009 peak. Dazzling Miss Israel Brings Message of Jewish Diversity to America: Trailblazing Ethiopian-Born Beauty Proud of Africa and Israel - Yermi Brenner, Jewish Daily Forward: "When Miss Israel, Yityish Aynaw, entered a Solomon Schechter Day School prekindergarten class, in New Milford, N.J., a caretaker excitedly asked the children, 'Do you know where she’s from?' 'Africa!' 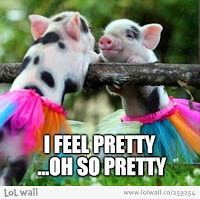 one confident little girl shouted. The adult quickly corrected the 3-year-old, explaining that Aynaw is in fact from 'Eretz Israel.' ... Aynaw, 21, was one of about 71,500 Ethiopian Jews who immigrated to Israel between 1990 and 2004. ... Aynaw follows in the footsteps of other Israeli beauty queens who reflected demographic changes and concerns in Israeli society. ... Like her predecessors, Aynaw has been doing her share of hasbara. Waze’s talent put (Netanyahu himself called company heads to say 'You’ve reached your destination!') indicates an underlying concern that big foreign buyouts could eventually erode Israel’s brand as the 'start-up nation,' a term coined in the 2011 book by Dan Senor and Saul Singer. ... American giants swallowing up promising Israeli start-ups is nothing new. ... Israel, always so concerned with its hasbara (public diplomacy), may not be so quick to forget the roots of its swallowed start-ups." 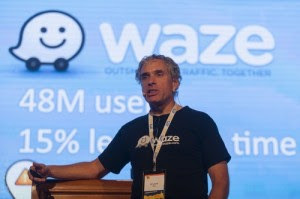 Image from article, with caption: Uri Levine, co-founder and president of the company that developed the Israeli traffic crowdsourcing app Waze, speaks during The Second Jerusalem International Tourism Summit at the Jerusalem International Convention Center on May 28, 2013. Israel advocacy or Zionist education? - Jeremy Gimpel, Jerusalem Post: "Israel has attracted the highest venture capital investment per capita in the world, 30 times more than Europe. From dirt road beginnings, Israel has more NASDAQ-listed companies than any country outside the US and China – more than all of Europe, India, and Japan combined. Impressive, no? On the other hand, in a recent BBC survey measuring public opinion, Israel placed in the company of North Korea, ahead of only Iran and Pakistan. How could a country accomplish so much yet fail so miserably in its public relations? Recently, Deputy Foreign Minister Ze’ev Elkin complained publicly that the ministry’s budget for public relations was only NIS 9 million, while the Palestinian Authority’s budget for public relations was $200 million. He compared Israel’s PR war to David and Goliath. This is clearly a part of the problem. However, even if Israel’s leadership were to sober up, recognize their failure and invest tens of millions of dollars in PR, I fear it wouldn’t bridge the gap. The root of the failure lies in us, the Jewish people, and our fundamental approach. When training student ambassadors or addressing the world, we explain Israel’s case as advocates and not as Zionists – and there is a world of difference. Allow me to explain. Hasbara (public diplomacy), and 'advocacy' are the words usually used to describe Israel’s PR efforts. Encrypted in those words lies the answers to Israel’s PR conundrum. Hasbara in Hebrew suggests an effort 'to explain' (lehasbir). UN Committee on child’s rights gets it wrong - 5mfi.com: "Israel could have publicly and energetically fought the terms of the [Goldstone Report; see] inquiry and the composition of the authoring team. It could have given its input before the report was written. At worst it would have had a heads-up on specific charges instead of a rebuttal written days and months after publication that few would read. Who could argue that Israel’s policy of noncooperation with investigations, has been a public diplomacy fiasco? How could cooperation have been any worse?" Coalition plans to punish those who boycott Israel - Jake Lynch, thegenerator.com.au: "The charge that the Boycott, Divestment and Sanctions campaign against Israel is anti-semitic fails its only salient test. The target of BDS is not Jews or Judaism, but militarism and lawlessness . ... Universities come into BDS because Israel uses academic exchange as a distraction from its lawless and militaristic behaviour. Selling Europe’s Human Rights: Loud and Clear or Softly-Softly? - Judy Dempsey, carnegieeurope.eu: "During a hearing at the European Parliament’s human rights committee on Tuesday in Brussels, it became clear just how divided the human rights community is in Europe. Some favor quiet diplomacy. Ashton [Catherine Ashton, Europe’s foreign policy chief] and Lambrinidis [Stavros Lambrinidis, her human rights envoy] are at the forefront of that group. Others, among them Markus Löning, Germany’s human rights commissioner, strongly advocate public rhetoric. ... If pandering to authoritarian practices is damaging to long-term business interests, it is far worse for politics. This is particularly true for the EU, which has built its raison d’être internally and externally on peace, democracy, the rule of law, and respect for human rights. Ashton, like so many other politicians who navigate the difficult waters of dealing with authoritarian regimes, regularly needs to be reminded of one important fact. Quiet diplomacy becomes self-defeating when it is so quiet that nobody listens to it anymore. [Comment by:] Jacqueline Hale, Open Society European Policy Institute [:] Excellent article highlighting the extent to which human rights policy should be elevated to a strategic priority for the EU, and that values and interest are a false dichotomy. There should be no assumption the EU is the only normative or values actor out there. 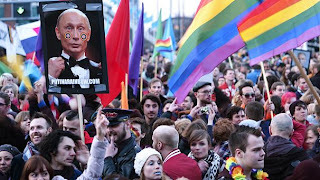 The multipolar world is an increasingly contested marketplace of 'ideas', and it is very much in the EU's interest in continuing to defend its ideas on human rights and democracy. The practical policy question as you highlight is whether the EU has the confidence to develop its public diplomacy? It also involves the EU expanding its definition of what public diplomacy means: recognising that there are many ways of supporting human rights defenders and civil society publicly (in addition to making statements critical of government). Praise for and photo opportunities with human rights defenders and visiting high level officials, convening meetings at the EU delegation, monitoring court hearings, attending demonstrations...there are so many things the EU could be doing better and more confidently." 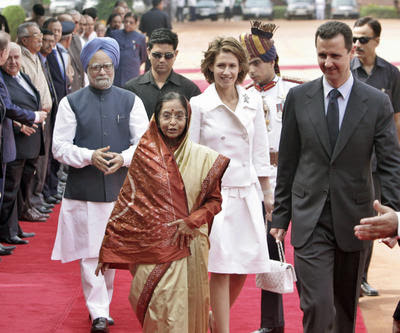 Can India help undo the Syrian knot? - Sukalpa Chakrabarti, eastasiaforum.org: "India has the potential to encourage a forward-looking development agenda in Syria. It can also play a defining role as a third party between the United States and Russia, facilitating a relaxation of their rigid attitudes toward Damascus, while persuading Syrian President Bashar al-Assad to declare a truce with the rebel factions as a first step. Diplomacy seldom starts with a sure success in the first round, and, given the imbroglio, an honest broker like India should be resilient in its efforts to soften the attitudes of the mentors of the warring parties. Armenia suspends talks on orders from its masters - milaz.info: "The Azerbaijani and Armenian delegations are due to meet at PACE. Special attention is given to an impact that the meeting will have on the resolution of the Nagorno-Karabakh conflict. Some experts believe that such a meeting will provide an opportunity for the future expansion of public diplomacy. A member of the Azerbaijani delegation to PACE, MP Asim Mollazade gave his assessment of the matter in an interview with publika.az. ... Q: Do you agree with opinions that this kind of meetings will expand public diplomacy? A [:] First of all, it is not public diplomacy. This meeting of the delegations will be held on the level of parliaments and international organizations, and this is state diplomacy. Diplomatic activity is usually carried out by executive bodies. And this meeting will bring together representatives of the legislative bodies who are members of our delegations in international organizations. I believe that some progress may be achieved in this direction. 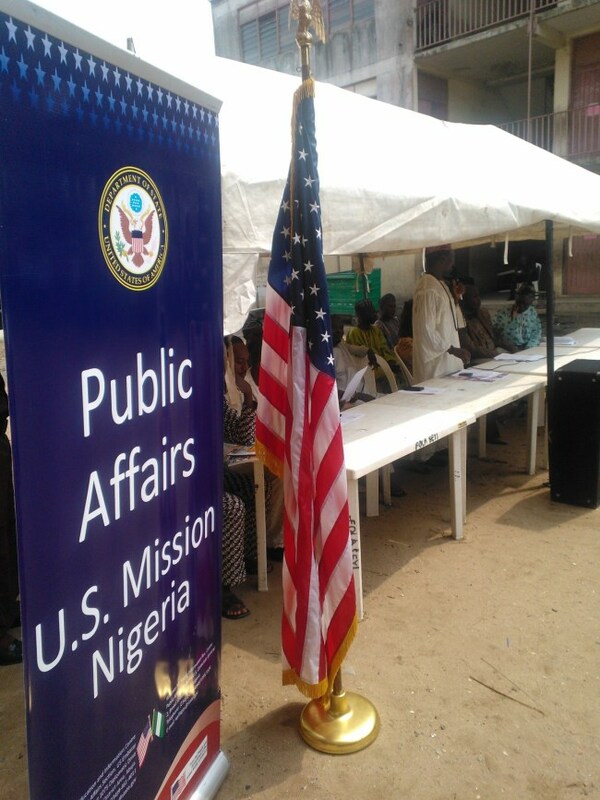 We are also advocates of public diplomacy in different planes." 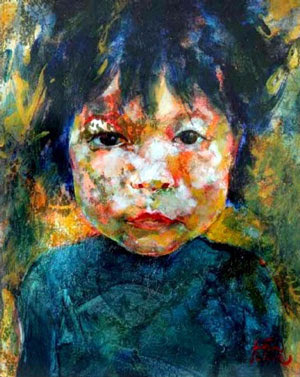 Attention Vietnamese Artists: Opportunity to Exhibit Your Paintings in Danish Embassy - hanoigrapevine.com: "From The Culture Development and Exchange Fund (CDEF): Promoting Vietnamese paintings project in Danish Embassy was set up in 2002. The selected works had been exhibited in the opening of first project in Jun 2013 with 9 paintings of 8 talented artists. The initiative of Danish Embassy has contributed to promoting the works of Vietnamese artists, broadening art knowledge and supporting them – one of CDEF criteria. Public diplomacy era of globalization - verygoodbag.com: "Since the 1960s and 1970s, under the impetus of the globalization movement, public diplomacy and gradually developed in the world, public diplomacy to become the worlds major powers of cultural output, and an important tool for ideological confrontation. After the end of the Cold War, along with the process of globalization continues to expand and deepen public diplomacy also gained considerable development. Not only the major powers and small countries in the world also have to include the countrys [sic] foreign public diplomacy strategy. In order to effectively promote public diplomacy strategy, States not only established a relatively sound public diplomacy organizations, regulatory agencies, but also to establish the legal, financial and institutional support system. You must feel a little tired after this reading, let us relax for a moment, I will show you various kinds of replica celine cabas and the best real leather replica celine handbags, if you like please select anyone you want. They all real leather best quality replica cabas bag and replica celine handbags!" 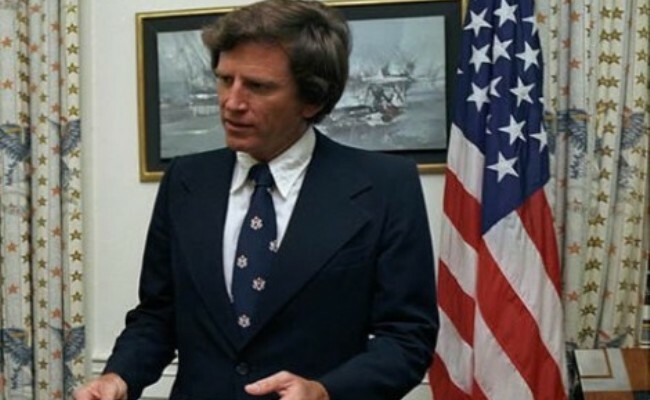 US secretary Kerry appoints ex-senator Gary Hart as International Security Advisory Board chairman - breakoutwear.co.uk: "U.S. Secretary of State John Kerry has announced that former Senator Gary Hart will serve as Chairman of the International Security Advisory Board (ISAB). The ISAB provides the Department of State with independent advice and insight on scientific, technical, and policy aspects of arms control, disarmament, nonproliferation, international security, and related aspects of public diplomacy. Malaysia’s Election and Najib’s Challenged Mandate - Dinobeano, dinmerican.wordpress.com: "The East-West Center promotes better relations and understanding among the people and nations of the United States, Asia, and the Pacific through cooperative study, research, and dialogue. Established by the U.S. Congress in 1960, the Center serves as a resource for information and analysis on critical issues of common concern, bringing people together to exchange views, build expertise, and develop policy options. The Center is an independent, public, nonprofit organization with funding from the U.S. government, and additional support provided by private agencies, individuals, foundations, corporations, and governments in the region. Over fifty years of serving as a U.S.-based institution for public diplomacy in the Asia Pacific region with international governance, staffing, students, and participants, the Center has built a worldwide network of 57,000 alumni and more than 750 partner organizations." 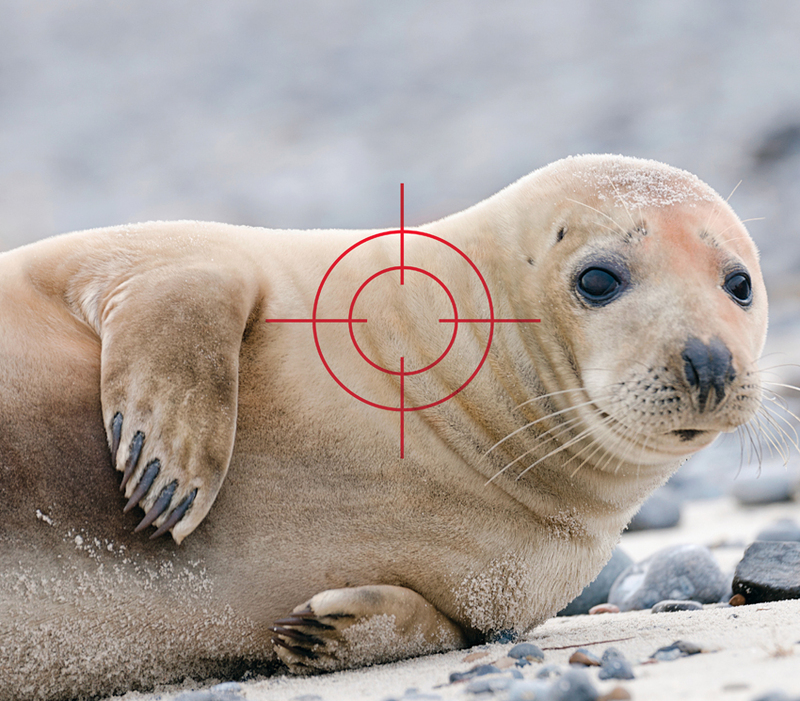 The Seal Problem: The population of gray seals on the Cape has exploded in recent years. Is it time to cull the herd? 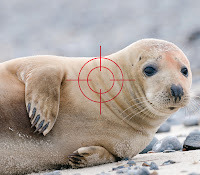 - Paul Starobin, Boston Magazine: "On a chilly Sunday this past April, I took a trip to Muskeget Island, on Nantucket Sound, in order to have a look at a big seal herd myself. Muskeget is the single largest breeding ground for the gray seal in the region. 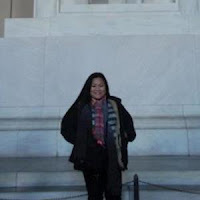 Public Diplomacy and Policy Outreach Expert -– Team Leader - naombakazi.blogspot.com: "Ecorys is looking to recruit a Public Diplomacy and Policy Outreach Expert –Team Leader to work on 'B-Brussels: ICI+ — EU public diplomacy and outreach in India and in the SAARC' project. ... Professional experience ... General experience of 5 to 10 years or more in public diplomacy, public relations, communication, event management, marketing, policy dialogue ... Desirable experience ... Organising events and public diplomacy campaigns and policy dialogues ... Ecorys UK is part of Ecorys Group an international consultancy with offices across Europe, Africa and Asia. We currently employ more than 500 technical, management and support staff and are one of Europe's largest specialist economic and social development consultancies with an annual turnover of more than $100m." EU confronts U.S. over reports it spies on European allies - Ben Deighton and Annika Breidthardt, reuters.com: The European Union has demanded that the United States explain a report in a German magazine that Washington is spying on the group, using unusually strong language to confront its closest trading partner over its alleged surveillance activities. A spokeswoman for the European Commission said on Sunday the EU contacted U.S. authorities in Washington and Brussels about a report in Der Spiegel magazine that the U.S. secret service had tapped EU offices in Washington, Brussels and at the United Nations. "We have immediately been in contact with the U.S. authorities in Washington D.C. and in Brussels and have confronted them with the press reports," the spokeswoman said. "They have told us they are checking on the accuracy of the information released yesterday and will come back to us," she said in a statement. France also asked for an explanation. Obama’s puzzling Middle East policies - David Ignatius, Washington Post: Syria is a policy nightmare, and Obama is right to want an eventual negotiated political transition. But that will not happen if Assad and Iran shatter the rebels in the face of an American promise of assistance. Egypt is another puzzling example of bootless Obama administration policy in the Middle East. What is the Obama administration’s position? You would think, surely, that it would remain neutral in the face of broad-based opposition to Morsi and the Brotherhood. It would urge the Egyptian army — the only institution in Egypt that retains wide support — to stay neutral as well, just as it did when protesters challenged President Hosni Mubarak two years ago. But administration policy is so unclear that many Egyptians think the United States is backing Morsi in the face of public rejection, and they wonder why. U.S. Wastes $2.3 Billion on Messed Up Afghan Air Force - Peter Van Buren, We Meant Well: The sleaze squirting out of the Special Inspector General for Afghan Reconstruction’s (SIGAR) office is almost impossible to otherwise keep track of in both volume and awfulness. The expected costs : $771.8 for aircraft purchase, $553 million to the Russians and, at $109 million a year for ten years for ongoing logistics support, over $1 billion. Total = over $2.3 billion dollars in blatant waste. Ka-ching!!!!!!!! American power in the 21st century will be defined by the ‘rise of the rest’ - Joseph S. Nye Jr., Washington Post: Simply put, the problem of American power in the 21st century is not one of a poorly specified “decline” or being eclipsed by China but, rather, the “rise of the rest.” The paradox of American power is that even the largest country will not be able to achieve the outcomes it wants without the help of others. Hollywood helped Adolf Hitler with Nazi propaganda drive, academic claims: Historian Ben Urwand says he has cache of documents that prove Tinseltown enthusiastically cooperated with Nazis' global propaganda effort - Jonathan Paige, independent.co.uk: Hollywood is not widely thought of as providing much support to Hitler's regime, instead producing a wealth of anti-Nazi films during the Second World War, ranging from Casablanca to The Great Dictator. 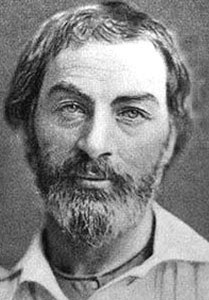 But now a young historian says that in the years before the war, Tinseltown was marching to a very different tune. Ben Urwand, 35 has written a book, The Collaboration: Hollywood's Pact With Hitler, in which he cites documents that prove, he says, US studios acquiesced to Nazi censorship of their films actively cooperated with the regime's world propaganda effort. “Hollywood is not just collaborating with Nazi Germany,” Urwand told the New York Times. “It’s also collaborating with Adolf Hitler, the person and human being.” The book describes many Jewish studio bosses not only censoring films to suit the regime, but also producing material that could be inserted into German propaganda films and even financing German weapons manufacturing. The collaboration of Hollywood with the regime began in 1930, says Urwand, when Carl Laemmle Jr of Universal Studios agreed major cuts to the First World War film All Quiet On The Western Front after riots in Germany instigated by the Nazi party. 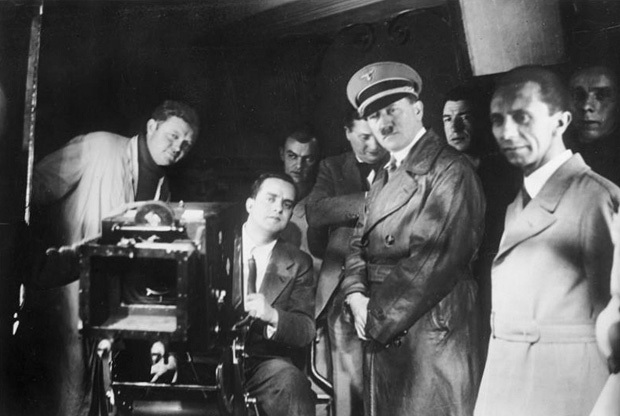 Image from, with caption: Hitler and Goebbels at the UFA studios in Berlin in 1935. I project the history of the future." 2013 Study on Congressional Attitudes - afsa.org: "In early 2013, AFSA commissioned a study to measure the attitudes of a diverse and bi-partisan group of congressional staff toward the Foreign Service and the Department of State. The study was also designed to identify opportunities to deepen understanding and promote awareness about the Foreign Service and to improve our relations with Congress. AFSA engaged journalist and author Nicholas Kralev to conduct the study. 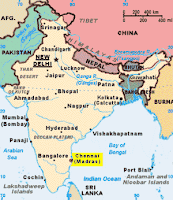 The Secstate Visits Delhi: Some PD Perspectives - Patricia Lee Sharpe, Whirled View: "It was obviously a busy two days for John Kerry, so the Embassy schedulers are probably feeling good, but the visit has received little local coverage. I've seen some brief clips on Indian newscasts, which are as annoying as U.S. local stations relying on fast-talking, faux-friendly 'if it bleeds it leads' snippets. 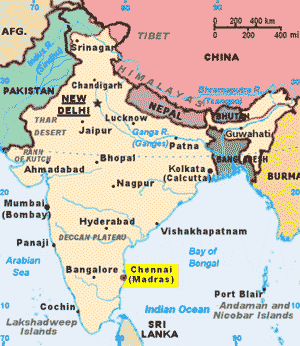 As for Delhi's all-important print press, it has been preoccupied with other issues. ... A recent report reveals that the State Department’s romance with social media has yielded little benefit of a substantive nature. My own experience in Delhi this week suggests that State has even less savvy when it comes to dealing with electronic journalists. And then there’s this: would local coverage of the Kerry visit have been more expansive had it been packaged better to appeal to local interests?" Congressional Panel Criticizes Management of US International Broadcasting - voanews.com: "[A]t the hearing [it was] said that BBG's structure makes reporters' jobs more difficult and that the agency's overall mission is unclear in the post-Cold War era. An Inspector General report issued earlier this year concluded that the BBG is failing in its mandated duties. ... After the hearing, the BBG gave VOA a statement saying the current BBG board has been working on ways to address the structural issue, reduce overlap and promote innovation, with the aim of providing the best support possible for its award-winning journalists' work around the globe, under increasingly tight budget constraints. Fixing the Strategic Dysfunction - Emily T. Metzgar, PD News–CPD Blog, USC Center on Public Diplomacy: "The House Foreign Affairs Committee came out swinging this morning in its hearing titled 'Broadcasting Board of Governors: An Agency ‘Defunct.' Chairman Ed Royce laid the groundwork in his introductory remarks, offering an overview of the BBG’s legislative origins and the proud history of U.S. government broadcasters that helped the West win the Cold War. The point – much like the hearing’s title – was not subtle, but it was important: The salad days of U.S. international broadcasting (USIB) are long past and the current administrative structure, under the purview of the BBG, does not work. ... Today’s event on Capitol Hill broke no new ground in the debate about how to address well-recognized difficulties in the operation of U.S. international broadcasting. But the hearing carried tremendous symbolic importance: First, the subject of USIB was the focus of a nearly two-hour hearing of the House Foreign Affairs Committee. Second, discussion took as a given the litany of problems increasingly associated with the BBG, evidenced in everything from the reports of outside consultants, to consistently low employee morale, to damning GAO and OIG accounts of the status quo. Finally, both members and witnesses spoke directly about the role of USIB as part of America’s public diplomacy efforts, thus successfully framing any future hearings, debates and legislative action as more than just requisite Congressional oversight but as real foreign policy imperatives. And that is a step in the right direction." See also. Interview – Nick Pratt - "Terrorism and counter-insurgency, with a regional interest in Central Asia and the Caucasus. He has been professor of strategy and international politics at the George C. Marshall European Center for Security Studies since 1996 . ... [Pratt:] Combating terrorism abroad requires the United States to use all of its national security 'tools.' The approach required must be multi-pronged, multi-dimensional, as well as multi-national. The elements of national power are: diplomacy, intelligence, information, public diplomacy, economic, financial, law enforcement, military, and homeland security. We cannot simply declare international terrorism threats to be over and retire into isolation. This is a sure course of action for attacks from outside our borders." Pics from Dellamanistan - Paul Rockower, Levantine: "Funemployment has finally offered me the time to upload all my pics from Central Asia for the Della Mae tour. I dare say the finest cultural diplomatesses the State Department has ever sent out. Enjoy!" [Note: American Voices sponsored the Della Mae Tour]. 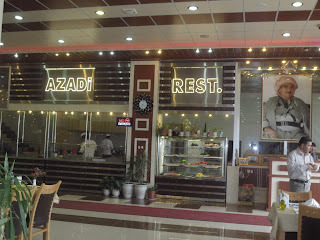 Above uncaptioned image from entry; below image from entry, with caption: From US Cultural Days in Turkmenistan. See also. 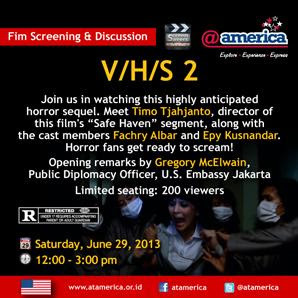 Film Screening and Discussion: V/H/S 2 - atamerica.or.id: "Saturday 29 June 2013 12:00 PM - 03:00 PM ... @america Pacific Place Jakarta, Indonesia ... Description: Join us in watching this highly anticipated horror sequel. Meet Timo Tjahjanto, director of this film's 'Safe Haven' segment, along with the cast members Fachry Albar and Epy Kusnandar. Horror fans get ready to scream! Opening remarks by Gregory McElwain, Public Diplomacy Officer, U.S. Embassy Jakarta Limited seating: 200 viewers Rated: R Restricted, Under 17 Requires Accompanying Parent Or Adult Guardian"
A Musafir in Iraqi Kurdistan –- Part II - Jyotsna Singh, chapatimystery.com: "Almost everyday in the past few months, news from Iraq inevitably describes bombings, random violence, and sectarian conflict in Southern Iraq, often in Baghdad, but also in other cities closer to Kurdistan, such as Mosul and Kirkuk; thus, as we drive by small road-side communal clusters of shops, with trinkets and steel dishes hanging below canopies, small car repair hubs, trucks passing by, and at frequent intervals, mounds of water melons piled up for sale along the road side, this normalcy seems to make that other news seems surreal. ... On Day 2, some of us attend a well-publicized Career Fair, hosted by the University of Dohuk, with corporate and government sponsors, and attended by the chief diplomatic officer from the US consulate in Erbil as well as by a representative of the British Council, and a former Minister of Kurdistan, a glamorous intelligent woman who presents a power-point on development in the region (see photo). The general audience consists of many recent graduates, young men and women. We enter a grand convention center – all marble and bright lights. ... As our group from Michigan State listens to the opening round of introductions, we note a young-ish woman enter with a big, bulked-up man behind her; we are told she is the Public diplomacy Officer from the US Consulate accompanied by her security detail. She is the face of the US government, and I was interested in how she represents the US in a region that is the 'New Iraq'! ... [C]comes the big moment of the US Diplomat’s speech, a direct address to the graduates in the hall. 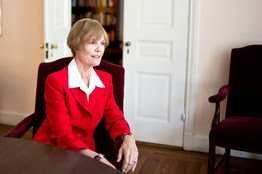 She deploys a familiar American genre of a commencement address, recalling her own experiences of student life and career trajectory of joining the state department via a very competitive process in which percentages for success are not high. 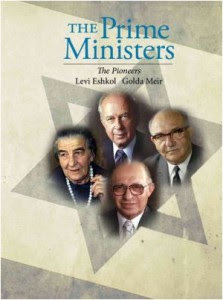 The Prime Ministers: The Pioneers, USA, Documentary - Claus Mueller, filmfestivaltoday.com: "The New York premier [sic] of The Prime Ministers on May 7, 2013 was introduced with a brief video salutation by the Israeli prime minister Benjamin Netanyahu and comments by Yehuda Avner. Avner is the author of the bestselling book The Prime Ministers on which the documentary is based. ... Avner provided a running commentary throughout the film which was directed by Rick Trank with Sandra Bullock, Michael Douglas and Leonard Nimoy providing voices for Golda Meir, Yitzhak Rabin, and Levi Eshkol. ... The Prime Ministers provides a very sympathetic view of Israel’s history and problems and will be useful as an instructional tool given the new information it contains and its high production value. Cultural Engagement Key to Improving U.S.-Iran Relations –- Report - Jasmin Ramsey, ipsnews.net: "Increasing U.S.-Iran cultural exchanges could lay the groundwork for better relations between the two countries, believes a prominent think tank here, despite the prevalence of stereotypical memes of the United States as the 'Great Satan'' and Iran as part of the 'Axis of Evil'. 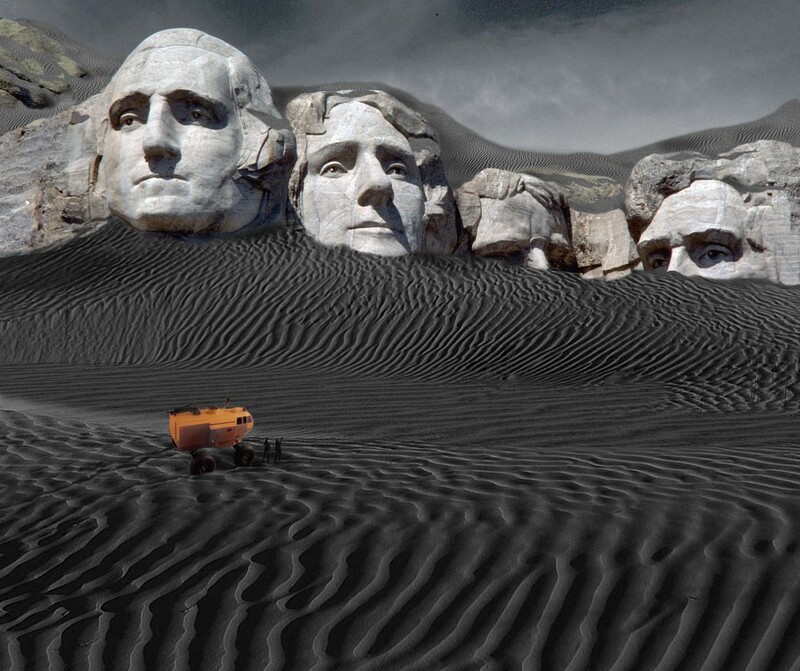 According to an issue brief released today by the Washington-based Atlantic Council, the United States should reach out to Iran’s people through a variety of cultural exchanges, even as the Jun. 14 election of Hassan Rouhani as Iran’s next president may present an opportunity for the United States and Iran to mend their decades-long cold war. 'Cultural and academic exchanges between the U.S. and Iran are a low-cost, high-yield investment in a future normal relationship between the two countries,' said the brief, authored by the council’s bipartisan Iran Task Force. 'When it comes to countries that have no diplomatic channels like the U.S. and Iran, people-to-people diplomacy is the only route available to us,' Reza Aslan, an adjunct senior fellow at the Council on Foreign Relations, told IPS. ... 'Yes, cultural diplomacy is good and has been tried before with decent results during the Khatami presidency,' Farideh Farhi, an independent scholar at the University of Hawaii, told IPS. 'But note that the context was different. The United States had not yet fully embarked on its ferocious sanctions regime which makes cultural exchanges quite difficult and reliant on the U.S. Treasury’s Office of Foreign Assets Control granting exceptions to literally every exchange,' she said. ... 'While public diplomacy is absolutely vital and really the only outlet we have, the question of whether it’s going to change the larger media perception in the two countries of each other remains a complex one,' said Aslan. ... In his first press conference as Iran’s president-elect, the reformist-backed Rouhani appeared as a stark contrast to Iran’s current controversial president, Mahmoud Ahmadinejad. 'Our main policy will be to have constructive interaction with the world,' Rouhani, Iran’s nuclear negotiator during the presidency of Mohammad Khatami, during a televised broadcast on Jun. 17. ... 'Unless there is a change in the overall frame of Washington’s approach to Iran, cultural exchanges will be perceived with suspicion in Tehran and effectively undercut by powerful supporters of the sanctions regime in Washington,' Farhi told IPS." 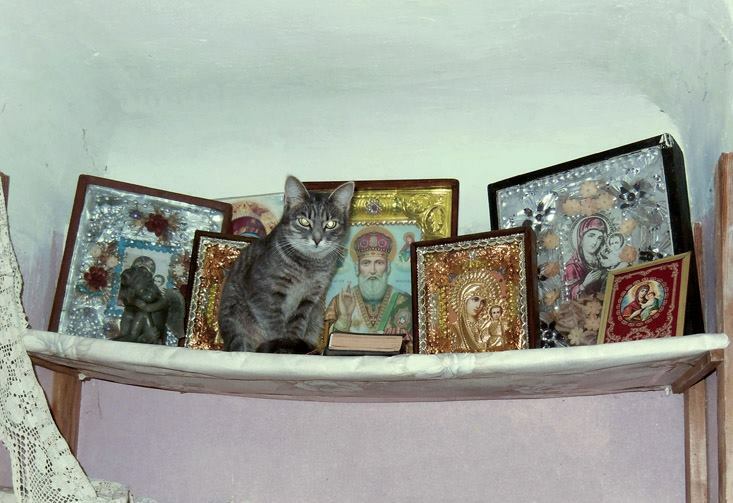 Image from article, with caption: Experts suggest that cultural exchanges could help improve U.S.-Iranian relations. 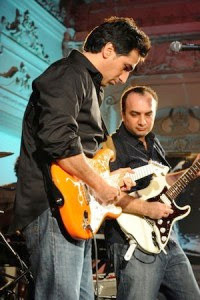 Above, members of Kiosk, one of Iran’s underground rock bands. the academy anchorperson will acceptable get a job - Onine Collector: "Disney put this 'Portrait of America' video calm for the U.S. State Department to advertise America on television screens in assorted airports, embassies, and consular offices about the world. Karen Hughes, [then] Under Secretary for Public Diplomacy and Public Affairs, wrote about the video here. I absolutely like the video even if it’s just a creamy promotional piece.I anticipate the video auspiciously captures a allotment of the American people, our accustomed wonders, and our communities – at atomic the smiling, happy, august aspects of American life." Social Media Diplomacy is about Innovation - Andreas Sandre, neweasterneurope.eu: "At the Embassy of Italy in Washington DC, the process of integration between traditional activity and social media presence has brought us to the creation of the embassy’s Social Media Hub (www.twiplomacy.it/usa). In one single page, formatted to be accessible online, including by tablets and mobile devices, the user has an overall picture of what the embassy does in terms of digital diplomacy. It is a way to make it easier for the public to find us online and engage with us at all levels on topics ranging from foreign policy to public diplomacy, business, art, and more. ... 'The idea of a Social Media Hub is as simple as it is innovative, making it possible for us to spotlight our press and social media activities on a single page,' the Italian Ambassador to the US, Claudio Bisogniero, said in a recent interview. 'What is most interesting is how the page continues to circulate on social networks, with over 900 ‘shares’ to date, drawing more and more virtual visitors,' he added. While I don’t believe new technologies and social media have had a strong impact on the daily life of the embassy – as traditional diplomacy has not disappeared, but rather improved – it is safe to say that diplomats have been forced towards a different way of engaging foreign publics. Positioning and networking in the run-up to elections: Network European Movement Germany on day 1 July [Google translation from the German] - 02elf.net: "Europe's future is the theme of the network-day around the General Assembly of the European Movement Germany (EBD). EU Commissioner Günther H. Oettinger delivers to the impulse: 'Germany and Europe before important elections: the challenges for the time after' is the theme of his keynote speech. To the network, EBD expected next day the ambassadors of Croatia and Lithuania and around 250 EU actors in the dbb Forum Berlin. 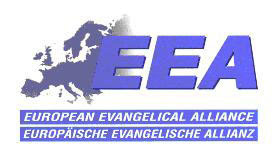 The political agenda of Germany's largest civil society network for Europe, then the focus is on: The Board to EBD President Dr. Rainer Wend provides a catalog of political demands for discussion. This calls for the EBD include a Convention of the changes to the EU treaties to prepare a comprehensive Voting rights for EU citizens at the state level and the creation of a 'European public diplomacy' as cross-border dialogue of politics, society and economy." Even for 'good Europeans' like Angela Merkel, defending national interests is king - Mats Persson, blogs.telegraph.co.uk: "[A]s I’ve argued before, for all the talk about 'good' and 'bad' Europeans, the national interest remains king in Europe. It’s all about how you frame the issue. It’s clear that Merkel has leveraged her (sizeable) power base in Europe when and where it is needed. Park Geun-hye: Northeast Asia is currently the Asian paradox potential for cooperation is not fully excavated - w3.isvoc.com: "Question: As we all know, you have a deep understanding of Chinese culture, which became you are dealing with China and China-related issues as well as leadership, public exchanges of a great advantage. Your public diplomacy between the two countries to promote the development of the plans? [South Korea President] Park Geun-hye: Diplomacy is no longer the exclusive government. 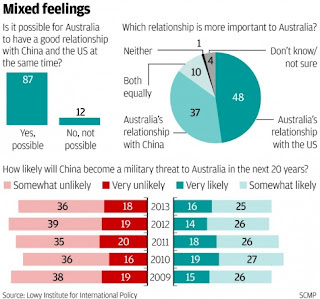 Public on the formulation of foreign policy has a great impact. Therefore, the aim of winning the heart of the people of other countries and establish mutual trust and public diplomacy has become more important. ... Chinese people cherish each other's cultures have a positive attitude, the two sides at the cultural level has a profound connection, so deep base public diplomacy between the two countries. I will further work to strengthen cultural exchanges between the two countries, especially young people exchanges between the two countries to promote bilateral relations in the field of humanities. The two countries have agreed, if possible, this year held in Hanzhong Gong of diplomatic forum. I hope the two sides can discuss and share in the forum related to public diplomacy policies and experiences." 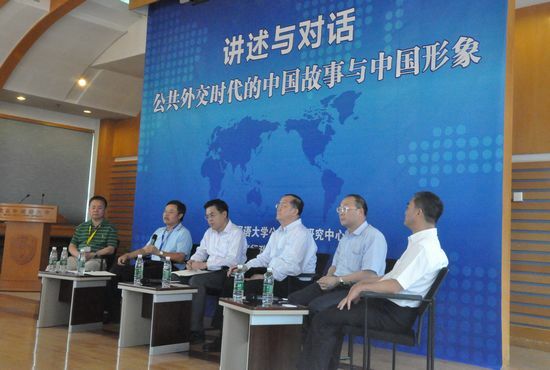 Yao Ming hailed as most successful case of public diplomacy - Wang Jinxue, People's Daily Online: 013 Forum on Public Diplomacy and 6th Diplomats Forum was held in Beijing on June 26, and about 100 people including government officials, scholars, entrepreneurs attended the forum. The theme for this year’s forum is 'China’s stories and image under public diplomacy'. Chinese ambassador to Tanzania Lyu Youqing said at the forum that public diplomacy plays an important role in promoting China’s national image in the world, therefore people should attach great importance to it. Lyu Gongxun with PetroChina shared his opinion on oversea public diplomacy. He pointed out that Chinese enterprises operating overseas should try to bring benefits to local people, adding that public diplomacy can ensure the implementation of overseas projects, and boost the development of enterprises in foreign countries. Professor Jin Canrong with Renmin University of China said that non-governmental participation is the best way of doing public diplomacy, and Yao Ming is the most successful case of public diplomacy as he has greatly improved the image of Chinese people in the world. Established by Beijing Foreign Studies University (BFSU) in August 2010, the Center for Public Diplomacy Studies is the first university-level research center on public diplomacy in China. It is the pioneer in public diplomacy studies and a strategic think tank for decision making of the Chinese government. Based on the innovative research results, it is designed for promoting research on public diplomacy, and providing intellectual support for government practices and serves as a platform for the public to join in public diplomacy activities. Meanwhile, as a pioneer and research base in public diplomacy, the center also conducts public consultation, corporate overseas strategy consultation and cross-cultural exchanges." Image from article, with caption: Speakers at the forum. China’s Foreign Policy Dilemma – Sea Lines of Communication: "Foreign policy will not be a top priority of China’s new leader Xi Jinping. Xi is under pressure from many sectors of society to tackle China’s formidable domestic problems. To stay in power Xi must ensure continued economic growth and social stability. Due to the new leadership’s preoccupation with domestic issues, Chinese foreign policy can be expected to be reactive. This may have serious consequences because of the potentially explosive nature of two of China’s most pressing foreign policy challenges: how to decrease tensions with Japan over the Senkaku/Diaoyu islands and with Southeast Asian states over territorial claims in the South China Sea. ... The 18th Party Congress work report, the single most important public document outlining the Party’s strategy over the next five years, also hints at a more assertive Chinese foreign policy. It pledges to ‘never yield to outside pressure’, a phrase which was not in the 2007 work report. Another new addition was the promise to ‘protect China’s legitimate rights and interests overseas’ when working to promote public diplomacy." 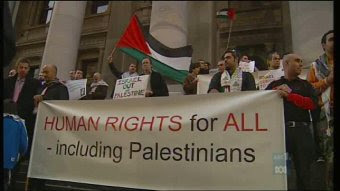 Is the Australian Liberal party out to silence opposition to Israel? - Jake Lynch, muslimvillage.com: "The charge that the Boycott, Divestment and Sanctions campaign against Israel is anti-semitic fails its only salient test. The target of BDS is not Jews or Judaism, but militarism and lawlessness, argues Jake Lynch. ... Universities come into BDS because Israel uses academic exchange as a distraction from its lawless and militaristic behaviour. 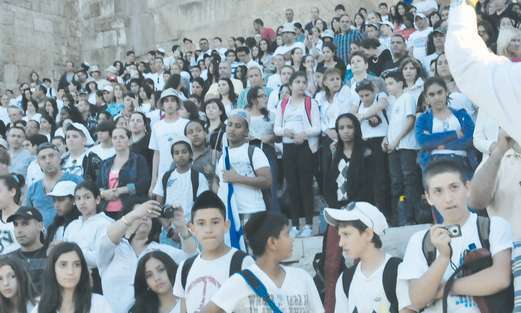 The Neaman Report on public diplomacy, published by Technion University Haifa and commissioned by the Ministry of Foreign Affairs, recommends targeting 'educational organisations' as 'beneficial clients' in efforts to sanitise its image abroad." Will Erdogan Go to Gaza? - Tulin Daloglu, Al-Monitor Turkey: "When Turkish Prime Minister Recep Tayyip Erdogan told reporters on Tuesday, June 25, that he might make a “surprise visit” to Gaza, no one thought it would happen as early as next week. Though it's unlikely the visit will take place any time soon, the Islamist Palestinian militant group Hamas believes differently. As reported on June 27 by Falestin, a newspaper considered to be Hamas' mouthpiece, Abdelsalam Siyyam, secretary-general of the Hamas government, said Erdogan’s Gaza visit is scheduled for July 5. ... Although Erdogan’s office maintains its silence, Cemalettin Hasimi, project director at the Turkish Public Diplomacy Office, tweeted on June 27, 'We were able to invite (journalists from) four television channels and two newspapers. … This was a program about bringing together the journalists and foreign policy issues. It’s not related to our prime minister’s visit to Gaza. '” Image from article, with caption: A Palestinian youth draped in a Turkish flag looks at the Gaza Seaport during a rally in support of Turkish Prime Minister Recep Tayyip Erdogan in Gaza City, June 18, 2013. 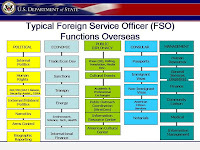 Consulates and foreign service - cyburbia.org: "[Comment by:] wahday Cyburbian [:] I looked into and took the first round of exams for the Foreign Service a few years ago. While I passed the written exam, I was not asked to move forward to the next round. In the interim (as I was anticipating applying again – many people apply numerous times before advancing), my local career took some unexpected turns and so I am pretty ensconced here at this point. ... Foreign Service also seems to be more dangerous right now than it has been in past eras. That definitely gave me pause, but I was strangely patriotic about it all as I was applying. There are different tracks (or 'cones') one applies for as well and anyone considering applying should research carefully what each entails. For me, though the Public Diplomacy arena was attractive, I ultimately felt that it would really take me away from my family more (and already its taxing on the family experience). So, I applied within the Consular track. Day to day, these folks deal with a lot of applications to come to the US and also provide support to Americans travelling abroad (including things like what happens when someone dies abroad? What if an American is arrested abroad?) But they also get to interact more with regular local people and its more or less 9-5, special emergencies and arrests by Turkish prisons notwithstanding. This means more time with the family and more time out and about. Also, the diplomatic folks are much more in the public eye and so they have to more careful about what they do and say when out and about." 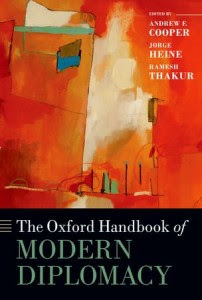 Book Talk 6 – The Oxford Handbook of Modern Diplomacy - acuns.org: "In Book Talk 6, Andrew F. Cooper discusses his co-edited book, The Oxford Handbook of Modern Diplomacy. Co-edited with Jorge Heine and Ramesh Thakur, the book explores the ever-changing nature of diplomatic practices and the various forces impacting the profession. The book features the writings of practitioners and scholars and includes insight into the latest developments in the field. Cooper categorizes the tension between the forces of continuity and change as a major dilemma for diplomacy. Additionally, moving forward, diplomacy will likely become less state-centric, particularly in regards to issues like environmental policy which cannot be solved exclusively by state actors. Cooper points out that the appetite for global governance requires diplomats to act in a different way. Newcrest Mining Limited – Newcrest announces independent advisor to review … - singaporehotel.mobi: "The Board of Newcrest Mining Limited today announced the appointment of former Australian Securities Exchange Chairman, Dr Maurice Newman AC, to conduct an independent review of the Company’s disclosure and Investor Relations practices. ... Maurice Newman retired as Chairman of the Australian Broadcasting Corporation (ABC) in December 2011 . ... He was appointed ... Honorary Professor in Public Diplomacy at the Soft Power Advocacy Research Centre, Macquarie University in September 2012." Pentagon propaganda efforts continue - Tom Vanden Brook, USA TODAY: The Defense Department wants to continue working with contractors to pump propaganda into Afghanistan despite a recent Government Accountability Office report that shows the programs are inadequately tracked, their impact is unclear, and the military doesn't know if it is targeting the right foreign audiences. The military deems the capability so integral to its effort in Afghanistan that it has extended the contract of the Leonie Group, its top private producer of propaganda, according to Air Force Lt. Col. Damien Pickart, a Pentagon spokesman. The company's co-owner, Camille Chidiac, was suspended for a time last year for admitting that he launched an online smear campaign against USA TODAY. The campaign, which Chidiac said in a letter to the Army, was started by public relations firm he had hired and wasn't his fault. The campaign began after the paper learned that Chidiac and his sister, Rema Dupont, the company's co-owner, owed the federal government $4 million in back taxes. They paid their tax bill, and Chidiac agreed to put his ownership stake in a trust and relinquish management of the company. That satisfied the Pentagon, which dropped its suspension of Chidiac and continues to do business with Leonie. 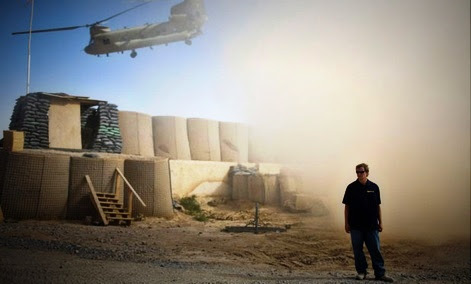 The Pentagon is taking bids until July 19 for its propaganda enterprise in Afghanistan, known in miltiary-ese as, Military Information Support Operations (MISO). Since 2005, the Pentagon has spent hundreds of million of dollars on MISO. These propaganda efforts include websites, leaflets and broadcasts intended to change foreigners' "attitudes and behaviors in support of U.S. Government" objectives, according to the GAO. Some of them disclose the U.S. military as the source; others don't. The Service of Snowden - Roger Cohen, New York Times: Across the world, and in the United States itself, many people sympathize with Snowden. They see his leaks as a needed stand for individual freedom against the security-driven mass surveillance of a U.S. National Security Agency armed with the technology to gather and analyze the digital trails of our lives. Defense Contractors Vastly Outnumber Troops in Afghanistan - your-poc.com: For every U.S. service member serving in Afghanistan, there are 1.6 Defense contractors on the ground (and on the payroll) in supporting roles. Don’t Talk With the Taliban - Husain Haqqani, New York Times: As was the case in the 1990s, negotiating with the Taliban now would be a grievous mistake. Syria won’t be Iran’s quagmire - Vance Serchuk, Washington Post: The Obama administration has reportedly decided to send light weapons and ammunition to the opposition. But even if this starts to reverse the momentum of Assad and the Iranians — an optimistic assumption — a return to a bloody stalemate is still a win for Tehran. That’s because Assad doesn’t need to reconquer all of Syria for the Iranians to emerge successful. Too Hilarious: Susan Rice Decries Torture (except by the U.S.) - Peter Van Buren, We Meant Well: Ho, ho, now the U.S. wants to criticize (other) people who commit torture, sure, why not put that out there? The evolution of Arab public opinion research [video] - Marc Lynch, Foreign Policy: "How reliable is public opinion survey research in the Arab world? What lessons should we draw from its findings for policy or for academic hypothesis testing? 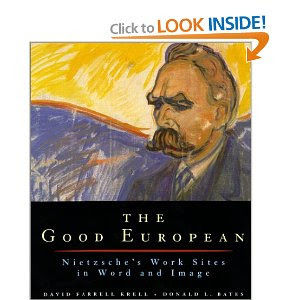 Has the proliferation of new research, of varying quality, improved the state of our knowledge? In last week's POMEPS Conversation, I talked to Shibley Telhami about his new book, The World Through Arab Eyes, based on a decade's worth of survey research in the region. In this week's POMEPS Conversation, I talk with the University of Michigan's Mark Tessler, one of the founders and leading scholars in the field of Arab public opinion research." 'White House Down' Review: Unrelenting Liberal Propaganda Disguised As Popcorn Entertainment - Christian Toto: breitbart.com: White House Down lets director Roland Emmerich indulge in his favorite stunt--dumping ideological sludge atop his already bloated disaster films. Farewell Note from Under Secretary Tara Sonenshine‏ - Received by email:"Thank you for all the work you do to advance U.S. national security through public diplomacy. ... The case for public diplomacy was never so compelling. With its unique position at the intersection of global information and people-to-people relationships, it has the potential to enhance the most positive and productive aspirations of citizens everywhere. 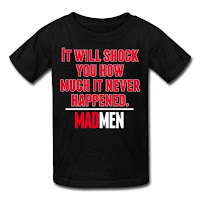 It has impact. It matters." [full, unintended text below] This past year has given me the opportunity to see public diplomacy up close in our embassies, posts, American Spaces and out in the field. As I move on, I do so knowing that our work does what it's intended to do: create a safer and more prosperous world for Americans at home and abroad by helping citizens abroad build better futures. Throughout the past year, I have focused on defining the public diplomacy space, internally, and externally, and re-building confidence in PD programs and people while advancing the priorities of U.S. foreign policy through people-to-people engagement. My approach has been to frame public diplomacy in terms of short-range, mid-term, and long-term priorities so that we both stay focused on the immediate, but remain true to the premise that the real dividends of engagement sometimes take years to materialize. You see the results of positive public diplomacy when you meet heads of foreign countries, leaders of NGOs, influential writers, and others who have participated in USG funded programs years earlier. The people who experience our programs are often the people who solve problems, win Nobel Prizes, advance global interests, and reduce extremism. By supporting emerging leaders at a crucial time in their lives, we have made solid investments for our own country. This year has included outreach to the PD field through the establishment of the first external public diplomacy newsletter, the posting of agreed-upon core tenets for public diplomacy, active tweeting, speeches, interviews, visits to American universities and overseas trips as well as participation in bilateral summits, strategic dialogues, and town hall meetings, and a re-invigoration of our American Spaces overseas. Some major achievements that I am most proud of but need to be sustained: English language learning, globally, is now centralized on a Mobile App but needs to be broadened and deepened as we need to use more mobile technology and e-platforms overseas. A new video game, Trace Effects, for teaching English, is a major achievement and is gaining ground. 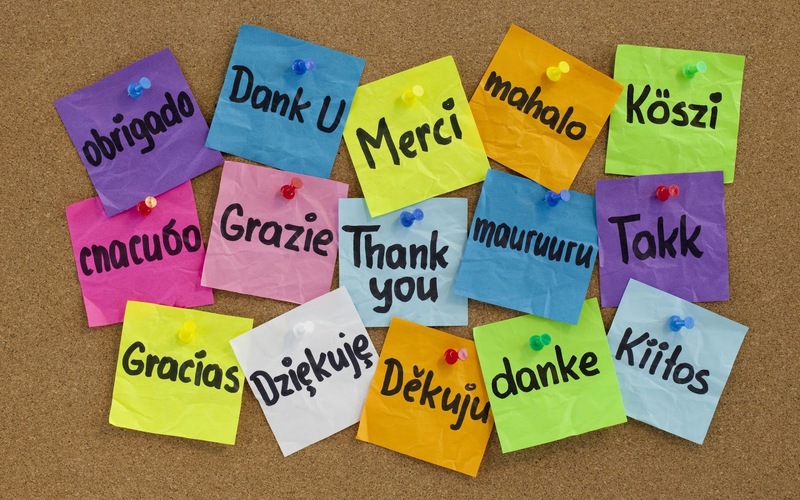 We have to keep elevating Education and English learning as a core pillar of our engagement. 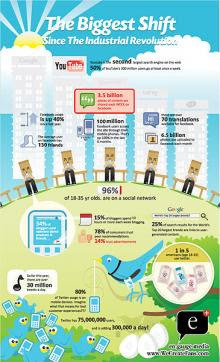 Social media work is expanding through Facebook pages in multiple languages, content through Apps, global twitter feeds, etc. We must keep moving mobile. American spaces overseas are in the middle of a transformation to new models and the partnership with Smithsonian must be guided and sustained so that all of our American spaces have common standards of good content, accessibility, resources and evaluative capacity. American Spaces are critical windows onto America for those overseas. They can't be ignored. We have followed up on a Presidential Executive Order to stand up the Center for Strategic Counterterrorism Communications (CSCC)-a center for countering violent extremism online. It is already making an impact among targeted groups, and we must continue to support it. Monitoring and evaluation of public diplomacy is essential; we have good results, both quantitative and qualitative such as the PDI study showing that where we use public diplomacy the results are measured in the number of volunteers starting businesses, running for office. Favorability of the U.S. is up and those who participate in USG exchanges want to build civil societies. Thanks to the Bureau of Educational and Cultural Affairs, Study Abroad and exchanges are recognized now as centrally important to the State Department, with an economic dividend at home of $22 billion. There must be a high level 'call to action' with focus on Fulbright and other programs like YES. If we let these programs go ignored from the top leadership of State, they will fall victim to cuts or country decisions to do away with them or control them. Women and girls must remain central to U.S. foreign policy in words and deeds and that will require close coordination between our Office of Global Women's Issues (S/GWI) and public diplomacy. I have led the call for greater interagency participation, so we can work together to enhance those critical goals. BBG is in urgent need of reform and new approaches to the entities. I have worked hard as the Secretary of State's representative to the Board to suggest commission, board replacements, and other reform approaches. Public-Private partnerships to expand and enhance our public diplomacy have gotten much of my attention through our work on 100,000 Strong China, 100,000 Strong Latin America, and our Open Book project on Arab translations, to name a few of our initiatives. There is great potential to do more partnerships, particularly for our outreach to Islamic communities around the world. Building a domestic constituency for overseas engagement remains an economic and national security priority which means domestic outreach. I have traversed the U.S. from the East Coast to the West Coast, and in between, to make the case for public diplomacy. This must be continued so we don't lose momentum. Religious outreach is a vital ingredient to good public diplomacy and we have been carrying some of the load on coordination of these activities. I co-chaired the Global philanthropy and civil society effort which has made real inroads with the philanthropic community in creating a State Department bridge to international NGOs that work on issues related to R. I have mentored dozens of young people interested in service and tried to be a strong choice for career development within the Foreign Service and outside it to create a good leadership track for others to follow. So what does the future hold for U.S. public diplomacy in a complex world? Over the coming year, we have enormous opportunities to continue what public diplomacy does best: integrate our policies into a wide spectrum of public engagement. Using all the tools in the 21st century statecraft toolbox, in traditional and online ways, we can promote inclusiveness, tolerance, diversity and democracy and reduce the risks of costly global division, extremism, and war. Direct engagement is the key. We can connect with young people about things that directly affect their lives, including unemployment, vocational training, primary school education, gender issues, and health care. These issues are as important these days as bilateral trade, investment, security, and official delegations. We can share ideas with bloggers at a university roundtable, meet with alumni of our exchange programs, or sponsor sports or cultural events. We can interact with citizens with disabilities, support English-language students, or engage with visitors to more than 800 American spaces around the world. And we must also venture beyond the usual halls of power and connect with citizens in rural areas. People-to-people outreach goes beyond tweeting or texting. It involves virtual programming, disseminating thoughtful products, creating public awareness campaigns, connecting businesses through embassies, engaging religious figures, and acknowledging the work of citizen diplomats in a holistic approach. What is the recipe for good public diplomacy? The first step is to use convening power-internally and externally- simultaneously not sequentially. Inside government, officials who make and shape policy need to consider how the policy is communicated and understood by those on the receiving end of the policy-real people with real lives. That means convening the experts in public diplomacy while policy is in formation. It means circulating ideas to a wider group of individuals even at the risk that inclusion leads to disclosure.It means more video, imagery, photographs and story-telling. We have to move away from the innate, unspoken notion that governments alone change lives. Civil society groups, corporations, research institutions, elementary schools, summer camps and media have as much to do with how a society evolves as policymakers. And they can't operate without each other. 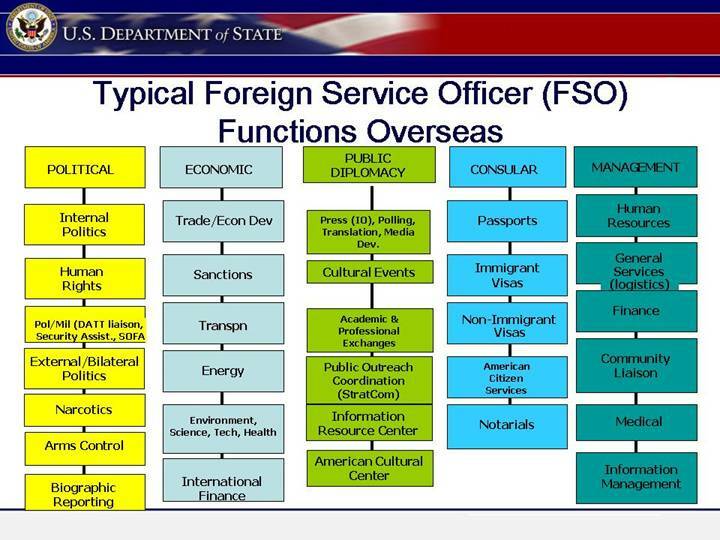 Basic assistance that goes through large bureaucracies on the U.S. end, for example, and through foreign government bureaucracies often don't resonate with ordinary citizens. They can't fathom how they are helped by these relationships or often don't know that their education or health or energy or security is partly based on a bilateral relationship between governments. Without a trickle down proof of concept, the response to diplomacy by citizens is often muted or negative. By "broadcasting" those relationships - and doing the same for policies - we can achieve and demonstrate greater impact, and even help to mitigate hostility and mistrust, opening up new channels of support and appreciation in the U.S. Congress and among our own citizens for the work we do. More and more, citizens want to know why governments participate in their lives and to what avail. Public diplomacy can make policies tangible, real, and positive if we fully leverage the skill set. Truly integrated outreach, communications and public engagement planning has to include public affairs, media, education, social media, outreach to religious groups, women, and business leaders and aspects of society that never make it into the capitals and halls of power but move policy with their feet and their voices in the public square. Public diplomacy can no longer be an afterthought or a "nice to have" element of diplomacy. Nor can it be relegated to the message of the day or the official statement or a simple tweet. There must be a concerted effort to add a layer of public engagement that builds out the circle of government-to-government ties and ensures that while the President or Secretary of State is doing the official work of international policy, that a representative of the government is doing the work of building public support for the same policy. In an ideal world, public diplomacy both "sets the table" for policy and amplifies the policy through the connective tissue of real people. Without that, public diplomacy remains a long-term ideal without immediate impact in a world of instantaneous reaction and its marginalization will undermine its truest value. 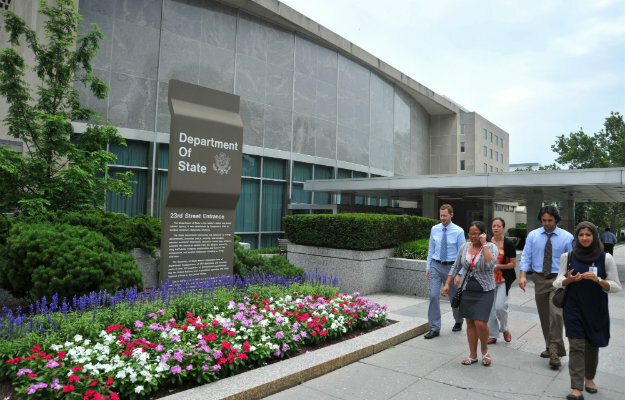 The response to State Department's public diplomacy work has been enormously positive. I thank both Secretary Clinton and Secretary Kerry and the leadership at State for their support. And I leave knowing that the work goes on and that individuals like you will keep us moving ahead. Mexican amusement park offers fake border-crossing attraction - Jessica Chasmar, Washington Times: A new amusement park attraction in the Mexican state of Hidalgo is offering the thrill of crossing the United States-Mexico border without the risk, complete with fake smugglers and fake Border Patrol agents, PBS reported Monday. The Parque EcoAlberto is offering the attraction as a way to dissuade people from attempting to cross the border. For three hours, tourist groups endure sirens, dogs, chases and the fake Border Patrol yelling threats, PBS reported.